New Free Pattern! Featuring "The Slopes Headband"
I'm happy to bring to you the prettiest little headband pattern today! 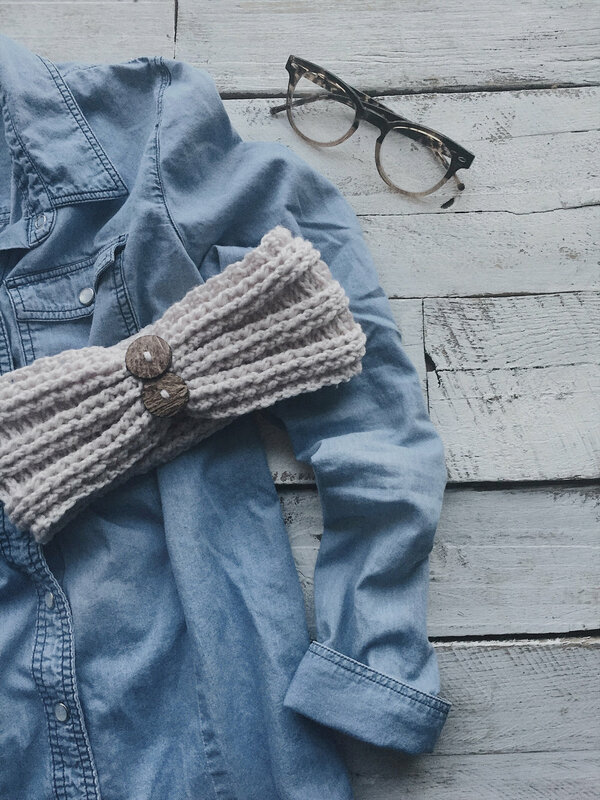 It's The Slopes Headband, and it is just so lovely-- with it's texture-y goodness... oh, and buttons. Can't forget about the buttons! They always make things cute. This pattern is very simple... it's a lot of post work, but it's a repeat of two rows the entire headband. I used an amazing new yarn called Chic Sheep for it (linked below) by Red Heart Yarn, and it was a dream to work up. Possibly the squishiest yarn I've dealt with! And I thought the buttons were a great pair with the linen color. They're made of coconut (cool, right?! ), and they add a beautiful rustic touch to the headband. The great thing about this headband, is that it's so easily customized for sizing. I provide instructions for a woman's head, but you could easily add or take away rows for different sizes! 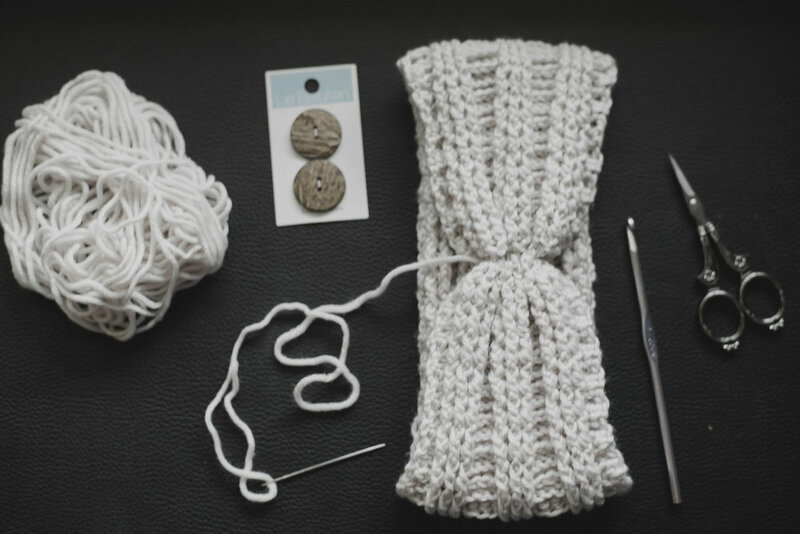 -it's a very simple pattern, with a two row repeat, which makes it easy to whip up! -the buttons aren't functional on this pattern, just decoration! 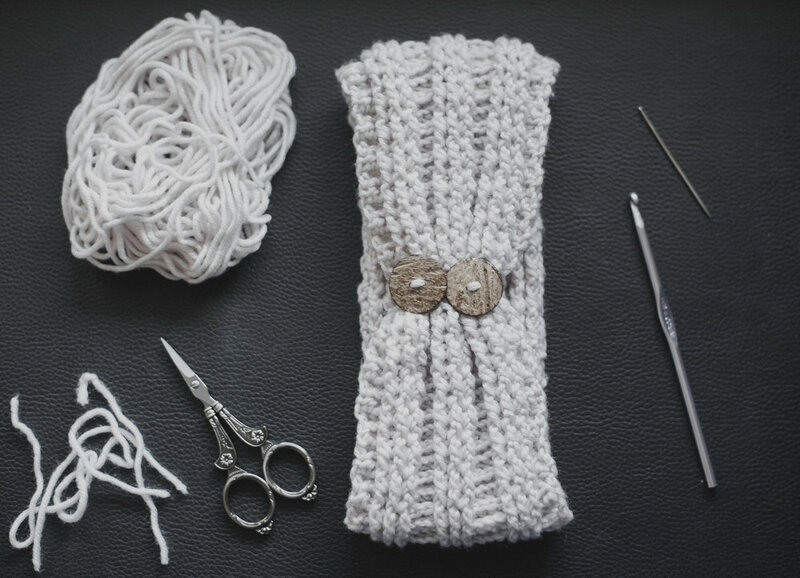 Fold your headband in half, and slip stitch the last row to the first row. I put the right sides together for this but honestly I don't think it matters because you will cinch the seam and cover it with buttons anyways! Once you've finished slip stitching across, you'll finish off and leave a good sized tail for cinching and sewing buttons. Cinch the seam with your fingers, and using your yarn needle and yarn tail, make a couple of passes through seam as it is cinched. Going back and forth through the headband to gather. It's important not to gather too tightly if you're wanting to fit two buttons on it. Then your cutie little headband is complete! Hope you enjoyed this little accessory pattern, the texture of this thing is so beautiful.. I'm thinking about making another version of this already!